You have a successful business or non-profit and you have some great ideas. 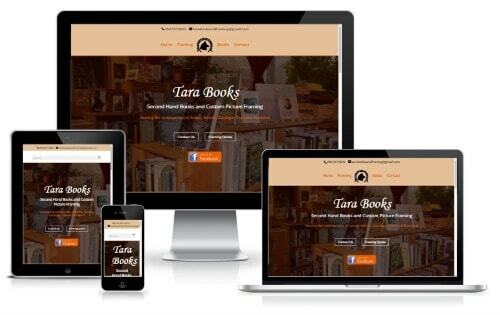 It's time your website reflect that. 1 Source Web and Gerald Hutchman can do it all! Evangelical Bible Church hired 1 Source Web to completely revamp our tired website and we couldn't be more pleased with the result. Check out dickinsonebc.com to see how sleek and navigable our site has become. Gerald's response time was never longer than 24 hours. Most often he'd respond within an hour and have the issue resolved within a day. I highly recommend 1 Source Web and Gerald Hutchman. We recognize the value of a functional and appealing web site for our church. In today’s world, our website is often the first impression we get to make. We have tried other webhosting services in the past, but nobody has come close to 1 Source Web. They promptly address issues that come up and they really seem to care. I recommend 1 Source Web for all your website design and hosting needs. You will not regret it. Coming to the end of our first fiscal quarter after launching our website, which was designed and is hosted by One Source Web, we’re pleased to confirm that the site has definitely been worth the investment. We ask new customers how they have found us, and enough have replied, “I saw your website” for us to know that, even in the slowest quarter of the year, our website has already paid for itself and continues to bring us new customers from Salmo and from the neighbouring cities. Hutch is great to work with. He understood right away what message and image we wanted to portray for our store, he had the site up in good time, and he continues to be responsive and supportive now that the site is up and running. I have hired 1 Source to develop strategies for several projects I oversee. They are professional and effective! Thanks from the Sutco Family!! We love working with you and your work is awesome!! thank you for being a part of our team!